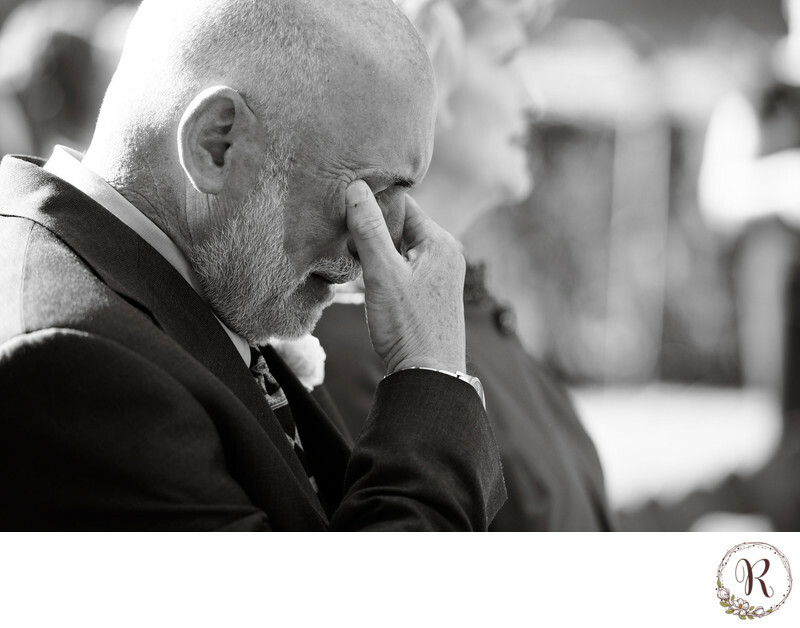 Jocelyn's dad has an emotional moment as he looks on at his daughter taking her vows at the Evergreen House. Location: Evergreen House, 4545 N Charles St, Baltimore, MD 21210. Keywords: father of the bride (3), Outdoor Wedding (3).